My blog is dedicated to being honest, fun and always with a focus on avoiding products tested on animals. Since starting my blog only earlier this month, I have already become addicted to blogging and so update my blog frequently, whether it be with upcoming products, reviews, ideas on how to create a look, or what my favourite items are. I really hope that you enjoy my blog as much as I enjoy writing it and that you join me for not only my regular posts, but my upcoming series, which is not to be missed. And now, on with my guest post, which is all about my must-have items for autumn. With autumn fast approaching, it is time we get ourselves into gear and prepare for the colder weather to set it (if, like me, you live in England, then you entered autumn around August). For me and many others, one of the first signs of cold weather on my skin is the dullness that sets in, even when there is the remaining traces of a summer tan. Your skin just doesn't produce that beautiful glow quite as much any more. That's where this product comes in. 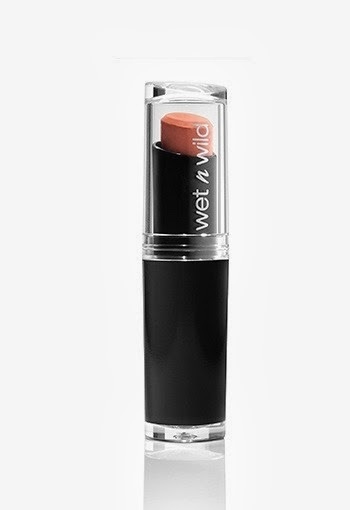 I adore this product and, even during the summer, it can be used once a week. The brightening mask actually does what its name promises - it brightens! Your skin will have a healthier glow immediately after using it and, despite the Liz Earle website saying the mask is not for sensitive skin, I still manage to use it absolutely fine, despite mine being the most sensitive thing on earth. By all means, do a patch test, but do note that some sensitive skins can use it. 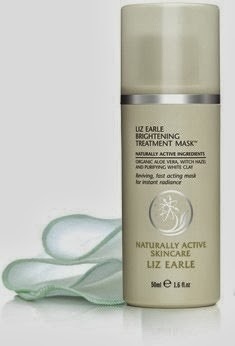 Available - http://www.lizearle.com . It is a UK website, but it does ship internationally. Is this product tested on animals? No. Both PETA and the Leaping Bunny logo support the company's claims to be cruelty free. When is the best time to use the above face mask? When you've arrived home in a bad mood because you got caught in the autumn rain, of course! 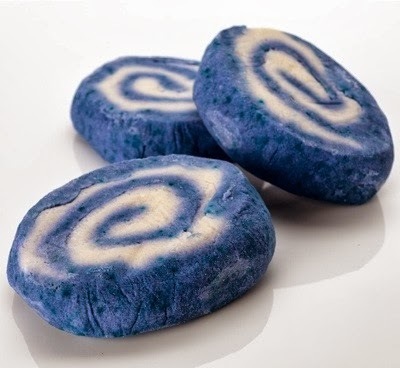 It is at that moment you will no doubt be wanting a bit of a relax - and a warm one, at that - and so will run for the bathtub to use Lush's Blue Skies and Fluffy White Clouds bubble bar. Why this product? Because when you're soaking wet and cold, nothing helps quite so much as bathing in luscious bubbles that transport you to your relaxing place (a private beach in the Bahamas, anyone?). You only need to use a bit of this product for each bath to get enough bubbles and enough of its glorious smell. So yes, while you lay back and soothe away your stress with this bubble bar, apply the Liz Earle face cream. These two products are a match made in autumn-Heaven. Available - http://www.lush.com provides links to their websites for many different countries. If your nation isn't on that list, go to the UK link, as they ship internationally. Is this product tested on animals? No. They are on PETA's do not test list. To me, autumn is all about colour, whether it be from the leaves turning orange to the shade we choose for our lips. When the colder weather hits, it is our faces that people see the most of - our hair becomes covered by hats and our hands - thus nail varnish - by gloves. As such, we have the opportunity to present a beautiful pop of colour on our lips. 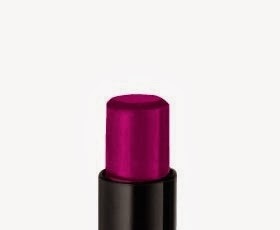 I suggest Wet n Wild's lipstick in Sugar Plum Fairy, a gorgeous plum colour. It isn't a bright shade that suggests summer, while it lacks a dullness one would associate with the worsening weather of autumn. It is, essentially, perfect for this time of year. Wear full on, or, if you're a little more subtle, blot until you reach the tone that's right for you. Available - http://www.amazon.com This shop ships globally, but before buying, check your local country's eBay and Amazon, as it can at times be found there. Is this product tested on animals? No. PETA has Wet n Wild on their do not test list. We've all heard of the make-up rule that states you mustn't wear bold shades on the eyes if you're making a statement with your lips. Firstly, never listen to make-up rules. Do whatever you want. Second of all, if you do like to follow those rules, then now is the perfect time to break them. Autumn provides the opportunity, thanks to the weather and, as stated above, the fact that only your face is really on show. 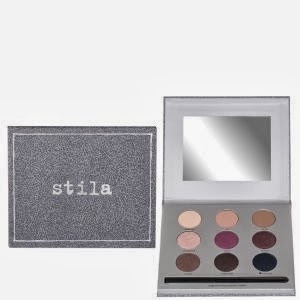 Therefore, I introduce you to a palette I have absolutely fallen in love with (I want to marry it) - the Stila Sparkle Luxe palette. Oh my goodness, it is gorgeous! Not only that, but the colours are certainly suited to autumn, from the plums and browns, through to the rich blue. Yes, the shades have sparkle in them, but if you can't wear glitter during the day when you're getting soaked with rain, when can you? Wear the sparkle, and rock it! Available - http://www.hqhair.com . This is an English site, but it does ship internationally. Is this product tested on animals? No. PETA support the company's claims to be cruelty free. Now that you've successfully soaked away all your stress, brightened your face and redone your make-up, let's get ready to go back out there! Fear not, because you will be wearing this rebellious little number. 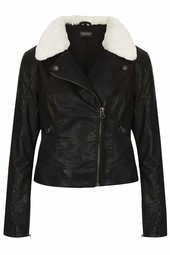 With the black leather-look fabric and faux fur collar, this will compliment your stand-out lips and look-at-me eyes perfectly. Don with black boots and an umbrella, and you're ready to show the world who is the boss again. Available - http://www.topshop.com . This is a UK website, but it does ship abroad.